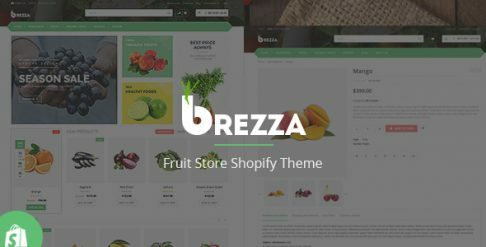 Are you looking for Electronics Shopify templates & themes to get your website/store up and running? 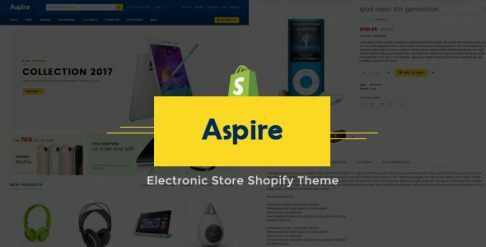 Take a minute to browse through our Electronics templates & themes and find the right one for your Shopify store and make it your own. Are you looking to grow your business of selling Electronics related products & services? Selling online via the web and mobile is most effective for Electronics items and all you need is a Shopify store to get started. 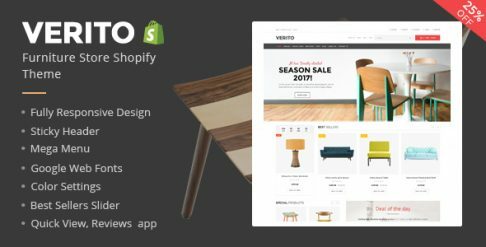 And of course, good Electronics Shopify templates & themes so your online store experience is optimized. Get started with these best-in-class Shopify templates & themes. Here's our collection of high quality visually appealing Electronics Shopify Templates & Themes that boast intuitive design to optimize user experience, increase visitor engagement and maximize conversion. - 100% Responsive: All of the themes listed below are 100% responsive which means no matter what size resolution monitor people are viewing it at, the theme will automatically resize. - Support for multiple layouts: Our Electronics Shopify Templates and themes are designed to support multiple page layouts so you can easily customize the look and feel of a page depending on the kind & type of product you want to display. - Easy customization: With a powerful admin panel you can easily customize theme header, footer, color, fonts and much more in just a matter of minutes. - SEO optimized & Speed tested: Our Electronics Templates & themes are SEO friendly. All search engine recommendations have been followed to ensure that you Electronics store ranks better. The Electronics themes are speed tested & optimized for a better browsing experience. How do I get product updates? You can download the latest version of the product in the Download section. You can download new updates during your subscription. Once your orders expire, please renew to continue getting updates. Alert updates to your existing and potential customers about new price and stock status of products on your website. How does the payment process work? When will I get my themes? After you select your extension / theme, you are taken to our checkout page. The checkout page is done in one step. You then enter all required details and click "Secure Checkout". You will then be taken to PayPal to complete the purchase. Once your purchase has been completed, you can immediately login and select "My Downloads". You will be taken to your Downloads page to simply download your theme. How is support managed for extensions and services? Providers can include customer support information when the extension package is submitted. Customers are advised to contact the provider directly for support, using the information submitted by the provider. Technical Support is provided on our Support email [email protected] and you should not expect it via Facebook, Twitter or any other means. This is the quickest and most efficient way for anyone who has purchased a theme package to receive support.Moreover, the support that we offer shall include common issues and bugs that might occur, and not necessarily customization of any themes. Support for users of the our free products is not guaranteed but is provided when possible.